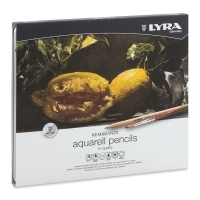 Lyra Aquarell Pencils are packed in durable tin boxes, each containing a beautiful assortment of shades. 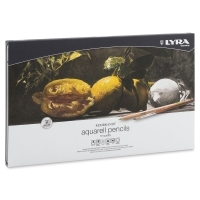 For a full listing of the colors in each set, please refer to the Item Specs tab of this page. Pencils are pre-sharpened. 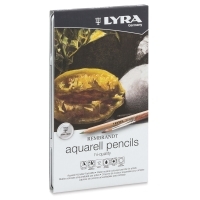 Leads are 4 mm in diameter, quite thick for a colored pencil.